Ever wanted a great over view of Ancient Greece but did not want to read a thousand page book. Well this book is made for you?? 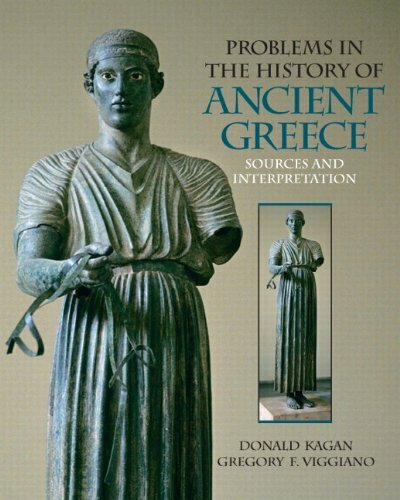 This book is under 250 pages and will provide you a great general overview of Ancient Greece. Topics include: Persian vs. Greek wars, famous Pelopon. War of Athens and Sparta, Dark Age Greece, Minoans and Mycenaean Greece, Classical Athens and Hellenistic age. This book will provide you will a solid overview of Ancient Greece. Don't expect to be an expert on Greece but you will greatly enhance you overall knowledge and this book can be completed in a couple of days. Finally, the writing style is excellent. Very direct and to the point. The way a book should be written. 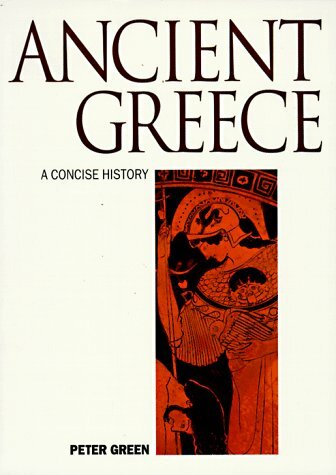 As a general reader with no expertise in ancient Greece, I found this book to be comprehensive and a quite readable way to both refresh my stale knowledge of the subject and to significantly add to it. It is not a breezy or riveting popular history (although the mind-boggling treachery of Alcibiades had me turning a few pages), so I did read its 221 pages over several days.It seems to be written for the undergraduate college student, but little prior knowledge of ancient Greece is assumed. In fact, so little is assumed that at one point the author even explains the meaning of the word "granary". To the best of my knowledge, all major aspects of Greek politics, military history, sociology, philosophy, literature, architecture, religion and science from the Paleolithic to the Hellenistic are covered. The author seemed to take special care to explain the roles of women during the different time periods, since it would be easy to neglect them in a history of the Greek male dominated societies. As another reviewer has noted, one of the book's strengths is its citations and references to original Greek sources.Its maps are decent and frequent.Its illustrations are only fair since, in the paperback edition I read, they are printed on the same, almost newsprint paper as the text, rather than on glossy plates.There is a 16 page bibliography of additional suggested readings. Overall, I'd recommend the book to a friend who was willing to invest a bit of time and attention. If you are a casual reader who wants to pick this up and be finished with it quickly, I'd recommend a different book.Although it is a short book, it is not one that can be read very quickly.The sentences are long, often repetitive, and verbose.I'm not sure if the author cannot convey his message in more reader friendly terms, or if he simply wants to flaunt his extensive vocabulary. 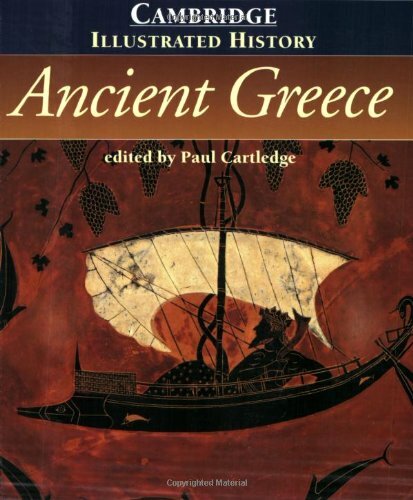 For example, on page 17: "The thorniest question concerning the Indo-European background of Greek culture is whether groups of peoples collectively labeled Indo-Europeans migrated into prehistoric Europe over many centuries and radically changed the nature of the society already in place there, of which indigenous inhabitants of Greece would have been a part" (Martin 17).Although this is comprehensible, the same thing could be said in shorter and less confusing language. The good thing about the book is that the author quotes many primary sources, unlike many others who quote secondary sources.The use of maps and time lines help to put events into perspective.I gave the book a three because it is a useful source for a student, but it is not a leisurely read, it is one you must reflect on and often stop to think about and to decipher the language used by the author.The book could use a good editing to clean up the language and sentence clarity if the author wishes for a broader audience than undergraduates. If your knowledge of ancient Greece is poor, but you're not a "dummy" so to speak, Martin's account may be a good start for you.The writing is clean and crisp, at times superb.Surely he covers much ground and undoubtedly leaves gaps, but admits as much and tells you why.His approach is for the first-timer and he clearly explains what he's leaving out while offering a detailed list of sources for additional review. As for the history, the big wars and big names are covered, as well as a smattering of social history.For a novice, it's difficult to think that any more basic facts could be communicated in a thoughtful way than in these 221 pages, espesically given the breadth of the coverage (pre-history through the Hellenistic Age). Martin deals with difficult and debatable topics thoughtfully, noting where a general consensus holds sway and where more varied opinion exists, lending credibility to his effort. Experts may feel short-changed but newcomers to Ancient Greece will find they've caught up fairly quickly -- and positioned to learn more. It baffles me the good reviews on this book as in the first chapter, the words, "PERHAPS, COULD BE and MAYBE" are how the writer writes about history he states, "we just do not know". Then Mr. Martin continues on in succeeding chapters to inform the Greeks that they do not know their own history as Dorians, who are spoken of, had their own language, invaded Greece, "do not exist". This is beyond the dumbing down of America, this is the complete moronic view of history! If Mr. Martin does not know about the subject then he should not be writing about the subject nor should others be leaving feedback that this waste of trees for paper is anything but 1 star. For the record, to prove I know the subject, one only has to look at the "Phoenicians" whom Mr. Martin does mention, but never correlates that this "lumping of peoples" details the facts and archeology found in the Bible. The invasions of Greece and subsequent changing of character to one of MILITARY KINGS, ELDERS and ELECTED OFFICIALS mirrors exactly the traditions found in the Israelite nations, which include the first Republican form of government which so many people like Mr. Martin refer to "democracy" which is not people rule but MOB RULE. The key line in this Biblical connection is "every man did what was right in his own eyes as there was no king in Israel". That is individual voting rights at it's genesis. Furthermore ancient sources factually connect the time of Greek upheaval to the period when Assyria conquered the Israelite kingdom of the north which contained the seafaring people of the Danites. This tribe of Dan had 2 groups. One exiled in ships touching on many coastal areas to Ireland with the Lebanese (Phoenicians) where they were called the Tuatha de Danaan or Tribe of Dan. Today they can be found in Denmark which means Mark of Dan. Jewish scholars have long pointed out that Dan spent time in Greece and that the Benjamites were sojourners there. Many have eluded to the fact that the Spartans who practiced homosexuality and are termed "Dorian invaders" by the Greeks are in fact the ancient base of Spartans. This is where Mr. Martin also comes up with the most heinous of disgustingconclusions when he speaks of Spartans taking children from their parents as boys to live in military camps with older males. Mr. Martin then lists the activities which included "physical love". THERE IS ANOTHER NAME FOR THAT ON WORLD LAW BOOKS AND IT IS CALLED CHILD MOLESTATION. Yes Mr. Martin terms pedophiles a "physical love". How on this planet Yale which published this book and others who give this book publication and glowing accounts is beyond the pale of morality. Check it out, PAGE 78; LINE 18. Mr. Martin also concludes that the making of metal artifacts for war and agriculture was due to everyone wanted them for prestige and NEVER CONCLUDES ONE HAS METAL DUE TO THE FACT IT IS A MUCH BETTER IMPLEMENT THAN ROCKS OR FLINT. This is the absolute nonsense found in this book which beyond boring. This book is the dumbing down of professorship in the United States and our academia should be ashamed to put something like this out. This book is so surpassed by the original Greeks in their writings and for example the book, The Tribes by Yair Davidy has more Greek information in passing WHICH IS ACCURATE that people should not waste time nor money on this nonsense. I paid 30 cents for the hardcover and that was 30 cents too much. One does not author books nor go to schools to hear, "might be, could be, probably or I don't know" nor does one want conclusions that people had plows because they were pretty and everyone had them. I can not strongly enough not recommend people buying this book. If it would not cost more to send the letter for a refund to Yale, I would be demanding a refund from them as this was not history nor even a discussion. This was pure uninformed scribbling. If this is the product of American secondary education at billions of dollars just turn out the lights and give the people beer money as this book inspires no thought nor reaches a discerning mind. Clearly this is the best volume for introduction to the Hellenistic world. Too general would be a criticism for a work not intended to be anything other than an overview. Okay, let's start by making a disclaimer: this is an OLD book.It was first issued in 1986 as part of THE OXFORD HISTORY OF THE CLASSICAL WORLD, and it does show its age.It obviously hasn't been updated because it still contains references to the Union of Soviet Socialist Republics as being a current government founded on democratic principles! Putting its age aside, it's an okay read.The book is divided into articles detailing specific areas of interest: history, philosophy, epic poetry, culture, domestic life, etc.In other words, it's a survey of the Greek world.My problem is that the sections dealing specifically with history are so threadbare, and some very important topics are ignored completely. There is no chapter on Minoan civilization, or even references to it, and the Mycenaean period is also absent.Why it starts with the Archaic period is not made clear.Perhaps in 1986 not enough was known to reconstruct either civilization adequately.Furthermore, discussion of pederasty is almost nonexistent.One chapter on poetry falsely states that pederasty wasn't a subject treated in epic poetry, when "Iliad" clearly portrays a love relationship between Achilles and Patroclos (though not explicitly sexual).Also, Haphaestian, Alexander the Great's gran amour isn't even mentioned! The worst part of the book is Simon Price's reliance on Biblical literature to reconstruct areas of the Hellenistic period.There aren't many modern historians who treat the Bible as anything other than folklore, and rightly so.Equal skepticism is given to Herodotus, Thucydides, Polybius, Arian, etc., because they didn't use scientific methods to examine history.However, this book relies heavily on their work as well. The essays on culture are much better than the essays on history.I particularly enjoyed the chapters on philosophy and "Life and Society." 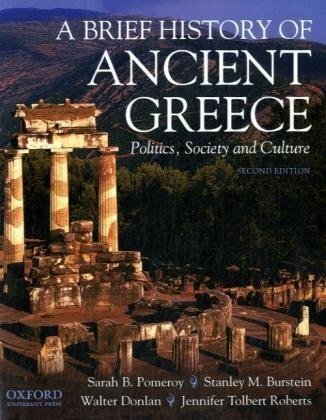 I imagine this book would be ideal for a semester length class on Greece, but there are better survey history books than this one.I think it would have been better if the contributors had opted for a narrative structure closer to that used in The Oxford History of Egypt, which was very well done. In conclusion, it's okay book, even if outdated; but it didn't live up to my expectations. This book is a bit disjointed because each chapter is written by a different author. So, it doesn't flow as easily as it could. Also, some of the authors go on and on about their particular topic of interest. For example,there is an entire chapter on Greek drama that is nearly 40 pages long. A chapter on Greek art and architecture that is 34 pages long. For me, this was too much. It may be right for you, though. Ancient Greece by Thomas Martin was a better read and had more of what I was looking for in a history book on ancient Greece. 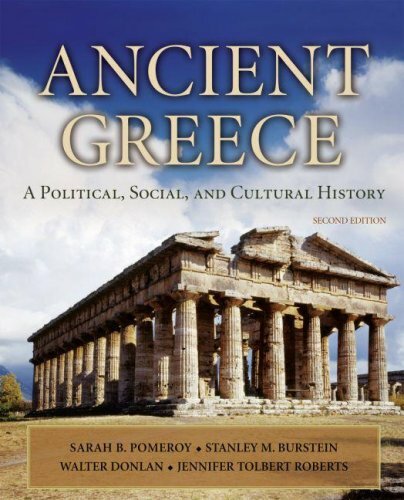 Whether you're a newcomer to Greek history or someone who has already studied diverse segments of it looking to organize your knowledge, this book will be an aid. It is essentially an overview of the main studies - aka, philosophy, literature, politics, military, eras, etc. That said, as it is a compilation of all these diverse things, it tends to become less specialist and more general (big picture). That is why people who are intensely interested in Greek history would be better off buying books specializing in different parts of it, then buying this book to clarify and put into context what you've learned from those other sources. Newcomers can make use of it too, but there will undoubtedly be parts they won't be able to make sense of due to their inexpertise. By and large, however, this book is accessible and to varrying degrees useful to professionals, amateurs, longtime students, and newcomers alike - providing they can tolerate academic language. Very detailed and interesting information. If you're looking for a blood and guts tale of the rich history of Greece, this isn't it. However it does seem authoritative and worth keeping on your shelf as a reference text. It reads more like a doctoral thesis, than a lively page-turner, but the main characters in modern Greek history were not bloodless, bland creatures, like Wooldrow Wilson, but tough politicoes, and you get no sense of personality in this book.If the author, Richard Clogg, had gone to Podunk State College instead of Cambridge, he might have been able to breath more life into his writing instead of sounding like the "Enclopedia Brittanica". Richard Clogg provides a rich history in a concise fashion. 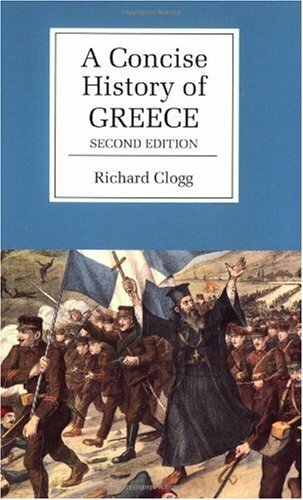 Highly recommended to students of Greek history for its well documented and supported writing. Factual evidence and sources add to the history, even though concise. I can think of no better short history of Greece. It is a must read for anyone wishing to understand the trends that have molded the modern Greek state and the historical infuences on Greek national identity. Many have written histories of Greece, but few have delved into an anaylsis of the historical trends that have helped to create the Greek world view and national identity. A brief but exciting history of Greek nation. It is well structured, brief and not boring. How could it be? It's about my country's history! It concludes all the history of Greece so anyone could be informed about the facts from 1770-2000.I like the way it presents the destruction of Smyrna and the exchange of populations. There are enough pictures and drawings as well. There are not enough about the recent history, but I was totally impressed when I saw at leastfew pages about the students occupation in Athens Polytechnic in 1973. I enjoyed it very much considering that in greek schools there is not even a little paragraph about this occupation. Finally, I think the tables at the last pages of the book are quite useful for anyone who wants to search more or compare to. A very interesting and concise history of Greece from the 18th century to the present.It includes detailed examinations of all the major turning points in Greek history in the last three hundred years; the Greek war of independence, Greece under the Nazis, the Greek Civil War and the dictatorship.All of the important passions that have overcome the Greeks are woven into the story as is the story of the destruction of the Greek peoples of Anatolia (The Pontic Greeks and Smyrna Greeks and others) as well as the ethnic-cleansing of Greeks by the Turks from places such as Adrianople, Constantinople and Rumania and Bulgaria.The conflict over Macedonia is highlighted as is the tragic story of the 100,000 strong Greek community of Egypt that was also cleansed by the Nasser regime. For almost 400 years, between the fall of Constantinople and the Greek War of Independence, the history of Greece is shrouded in mystery, distorted by Greek writers and begging the question: What was life really like for the Greeks under Ottoman rule? In this wide-ranging yet concise history, David Brewer explodes many of the myths about Turkish rule of Greece. He places the Greek story in wider, international context and casts fresh light on the dynamics of power not only between Greeks and Ottomans, but also between Muslims and Christians, both Orthodox and Catholic, throughout Europe. This absorbing account of a crucial period will ensure that the history of Greece under Turkish rule is no longer hidden. The great majority of history buffs are likely to be quite familiar with ancient Greek history. But when it comes to more modern times, such as Greek history just before, during, and after the four centuries of Ottoman Turkish rule, there may be more of a void in people's knowledge. This book is an effort towards remedying that situation. 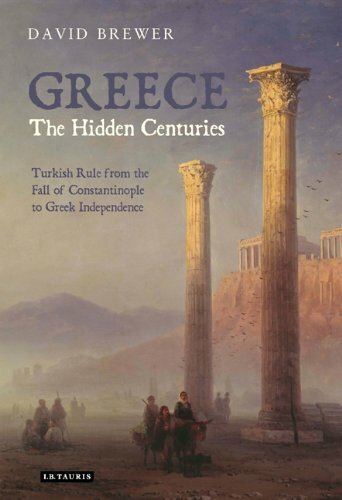 The author covers the period from the early thirteenth century to the twentieth, but his main focus is from 1453 (the fall of Constantinople) to the establishment of Greek independence in 1833. The events that he describes are not solely those that occurred within Greek boundaries; he also discusses activities of interest in other parts of Europe. The author points out that the subject of Greek life under Turkish rule remains a very sensitive issue among the Greeks even today.As a result, he tries to stick to the facts and to remain objective in balancing the pros and the cons, especially in comparison to Greek life under the European rulers that preceded the Ottomans. The writing style is authoritative and relatively formal but very accessible and friendly. It is also clear, lively and quite engaging. It can hold the reader's attention. This is a book that would likely be of most interest to history buffs, especially those, like me, with a love of Greece and its fascinating history. In A Traveller's History of Greece, the reader is provided with an authoritative general history of Greece from its earliest beginnings down to the present day. It covers in a clear and comprehensive manner the classical past, the conflict with Persia, the conquest by the Romans, the Byzantine era and the occupation by the Turks; the struggle for independence and the turbulence of recent years, right up to current events. This was the perfect book for a traveler looking for a short history.It was readable and gave me a good understanding of Greek history. To most people, Greece means the Greece of the Classics--the Parthenon, Delphi, Homer, Crete, and the Greek Islands. Modern Greece means tavernas, retsina, dancing a la Zorba, Greek Orthodox icons, and maybe the memory of Byron. But that leaves a lot of Greek history out of the mix, and it's impossible to truly appreciate the country as it is today without understanding all the centuries in between. "A Traveller's History of Greece" condenses these several thousand years of history into a manageable size book . It's divided into two parts, the first, covering early Greece through Byzantium, was written by Boatswain, and the second, which brings the history up to the present, by Nicolson. The pace is fairly brisk, a necessity considering the scope of the work, and there are occasional maps, black and white drawings, and a detailed time line at the end of the book. The information it provides is definitely useful--and vital for understanding of Greece as it exists today. So--why did I give the book only three stars? To be honest, I found it uninspired. The history was there, all right, but most of the time it seemed to be history of the "this happened and then that and then so-and-so did this" variety. Except for occasional glimmers of insight, I didn't find much cultural depth. I was listening to a set of taped lectures on Classical Greece by "The Learning Company" at the same time as I was reading this book., and frankly the tapes gave me a better understanding of the period they covered than did this book. That's a shame, but it's less of a problem for Classicalal Greek history, since there are lots of other easily accessible resources. For the later periods, however, that's not the case. At the time I picked this book up (it was recommended reading before a tour to Greece), there wasn't much else available that covered the later periods as well as the earlier. In talking with the tour leaders (one an eminent archaeologist), it became apparent that their reactions were similar to mine--and that this book it was about the only game in town What's really needed is a cultural history of the post-Classical centuries to supplement this political history. But, until that comes along, I too will recommend this book. If you are travelling to Greece and need an overview of history, this is a very easy, if concentrated read. The even pace and focused chapters helps you to remember the pertinent facts and sequence of events.I never really understood how Macedonia, the Roman Empire, Byzantium, Crusades, Venetians, and Ottoman/Turks were tied together, but at least I have a basic understanding now, and why Turkey and Greece are always at odds. I suppose in order to condense the length of the 1st half of the book, Boatswain leaves out most information about the relationship of history and Greek Mythology (their religion), and focuses on the train of events only. Some actual photos of famous people, especially in Nicolson's second half describing recent 20th Century history would have helped rather than the cheesy drawings.Also, there is no glossary for the second half, making it difficult to review the meaning of political group abbreviations (PASOK, ERM, EOKA, EAM, KKE, ELAS, etc. )or people's names if you forget who they are (i.e, you have to go back through the book). For the difficult task the book sets out to do (getting you to remember 4,000 years of Greek History in a painless and entertaining manner) it does a great job. I also felt Boatswain and Nicolson made a clear and successful effort to be as neutral and objective as possible. I usually dislike history books, but found myself fascinated by it all. This book should prove quite useful for those traveling to Greece, whether the trip is still in the planning stage or even if it has already been done and the traveler wants to enrich his or her experience with some background information. It is clearly intended for the non-specialist but contains a few insights I had not found in more learned volumes. The style and tone are crisp and fast-paced throughout. The first part, by Boatswain (120 pages), goes from very early Greek civilization to the fall of Constantinople. Normally, this would be too few pages for so much material, but the author does an adequate job, considering his purpose. The second part, by Nicolson, takes us to the end of the twentieth century. I must admit to a bit of disappointment with Boatswain's treatment of the world of Hellenism. He gets all the facts right but wobbles on the spirit of the Hellenistic -- as distinct from the Hellenic. But this is not a real flaw since few historians bother to elaborate on the distinction. Recommended for travelers and for general readers. This was the first Greek history book that I read and was interesting enough to both be read in a single sitting and spur my interest to further study Greek history.It's format is of a general, sweeping politicaloverview with the more dramatic points (Pelo. War, War of Independence, theGreek Civil War) covered in detail, while other eras are glossed over injust a handful of pages (Byzantium, Roman occupation). There's adetectable populist-sympathetic slant that is detectible especially in thelast third of the book, but such sentiment probably more accuratelyreflects the Greece that the traveller will find today than AncientAthens. Children will learn all about different civilizations and inventions—the way they changed history, their evolution over centuries, and their influence on modern times—through the activities and anecdotes provided in this interactive series. 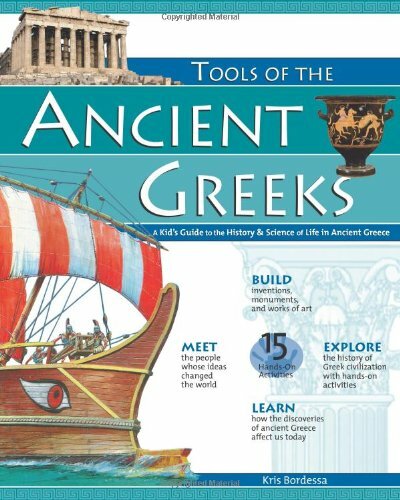 Kids discover the origin of ancient Greek theories, such as anatomy, geography, and democracy, and the ways they continue to influence modern-day thinking with the absorbing time lines, sidebars, and activities included in this guide. Profiles of more than two dozen famous historical figures explain how their inventions are used in the modern world and provide insight into the experimental nature of the Aegean people. Fifteen activities allow children to re-create some of the scientific discoveries while learning how to use scientific reasoning, develop theses, and find supporting evidence. Well written and a complete review. 9 year oldgrandson says " This is really interesting! "...Amplanning to buy several more for children's gifts. This is a great book that can be digested bit by bit by a younger reader and read quickly by an older child. Both will find it interesting. We plan to be in Greece for over 2 months and this will be a useful tool fo them to learn more and use their imagination about Greece. An excellent teaching aid! Homeschool alert! THis was a favorite of my daughter's. Especially the recipe for Baklava! IT was delicious.I purchased both as support material for our study of Ancient Rome and Greece and enjoyed them volumes. The information was presented well and the activities were worthwhile. Highly recommend! What a great resource to stimulate young minds!I've got girls in 5th and 7th grades, and have had a hard time finding reference material that interests and challenges them. This book does both. I wish there were more like it. 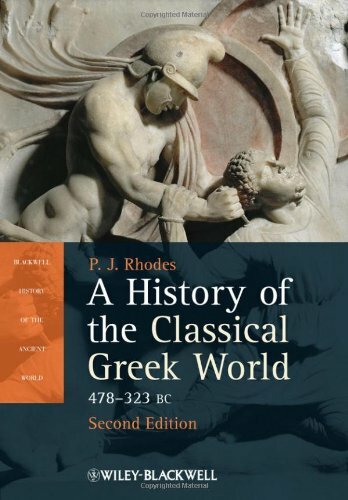 Thoroughly updated and revised, the second edition of this successful and widely praised textbook offers an account of the ‘classical’ period of Greek history, from the aftermath of the Persian Wars in 478 BC to the death of Alexander the Great in 323 BC. This extremely up to date and knowledgeable work is more in-depth than a simple overview. Rhodes is an editorial genius and supplies the source citations unobtrusively for every single thing he says. You can thus track down the basis of every claim or statement. His judgment is also excellent on everything. As a graduate student preparing for examinations I found it invaluable. It will also be excellent for undergraduates. 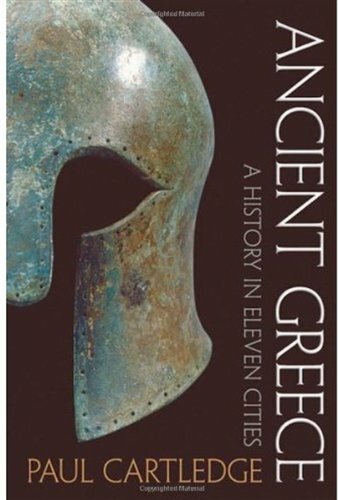 Its coverage of the period is better than any comparable textbook I have seen; even better than Sealey's History of the Greek City States, which is excellent also, and covers earlier history as well -- but this is better. Written by four leading authorities on the classical world, Ancient Greece, Second Edition, introduces students to the history and civilization of ancient Greece in all its complexity and variety. 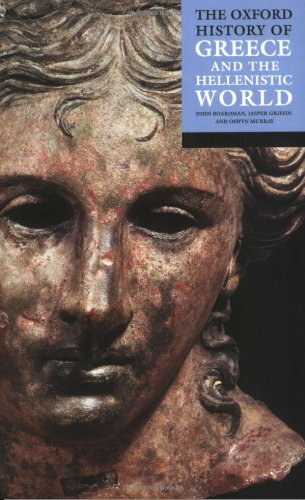 A comprehensive history, this captivating study covers the entire period from the Bronze Age through the Hellenistic Era, integrating the most recent research in archaeology, comparative anthropology, and social history with a traditional yet lively narrative of political, military, cultural, economic, and diplomatic history. 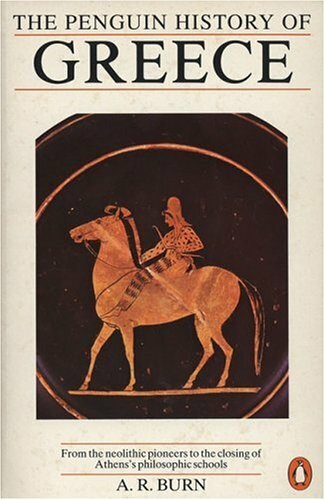 Using physical evidence from archaeology, the written testimony of literary texts and inscriptions, and anthropological models based on comparative studies, Ancient Greece, Second Edition, offers an account of the Greek world that is thoughtful and sophisticated yet accessible to students with little or no knowledge of Greece. The book is enhanced by text boxes featuring excerpts from ancient documents, an extensive glossary, and a timeline and general introduction that provide a bird's-eye view of Greek history. Clearly written, well-organized information, with interesting illustrations, combine to make a really good textbook. No wonder the professor chose this one! 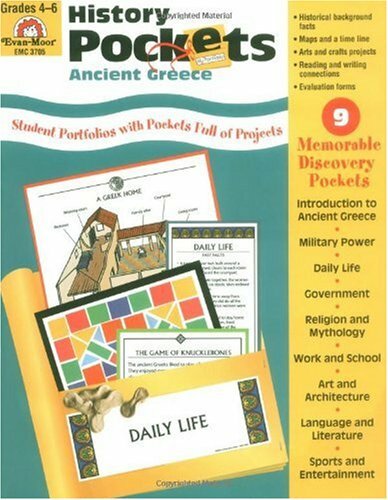 Great for and introduction to Ancient Greece. It has alot of informationand interpretaions. Helpful detail to give you enough insight of Greece. The enormous scope of this treatment--a cramming-in of all these facets of ancient Greek history--almost set the book up for inevitable trouble, but somehow it works. The idea might have been better delineated in several volumes, but all the chief threads that intertwined to make ancient Greece worth writing about, eventually(!) are identified and given their due unraveling and then relacing. The pre-Mycenaean treatment is very very probative and supports the infrastructure of this history, while I think the various "walkabouts" (e.g. Athenian feminist issues) are indicative of editorial laxity, perhaps? Basically, sometimes there is too much that can distract from the trajectory of this history, and trajectory is crucial when composing an account covering this amount of time...to say nothing of the daunting amount of material that deserves primary treatment in such an account. Greek religion and the emergence of learning are wonderfully treated, military development, etc. It's all here (and then some), and the sum is surprisingly cohesive, but then again, it has to be. One book to do it all. Or try to do it all. Readable, sturdy style. Just engaging enough. Still, the intelligent lay reader could do a great deal worse by not including this on one's library shelf. Verdict: recommended and worthy. This one deserves six stars!!! Wow, what a masterpiece! I started my self-conducted study of ancient Greek history with a different textbook. A good one but it did not impress me quite as much as this one. 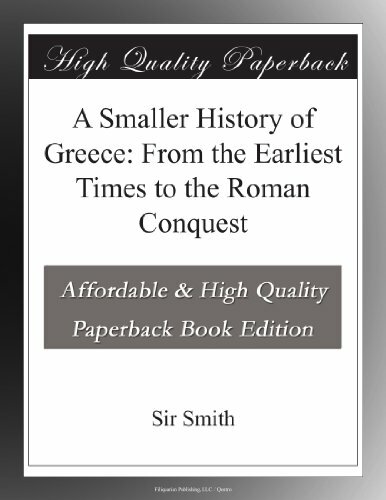 Written in a clear and fluent language, covering the whole range of Greece's ancient histoy and enriched with excellent pictures and diagrams, it makes the reading not only highly informative but also pleasant and entertaining, giving both beginners and students in the area a solid foundation for further and more specialised reading. It was sad to read some of the shallow and one-sided comments on here from people who certainly don't have the capability to realize the authors' didactic skill to reach out to a broad spectrum of readers of such a complex, broad and magnificent subject. This text rekindled my passion for the ancient world and gave me a great deal of motivation to pursue further reading on other aspects of ancient Hellas such as Religion, Politics, Mythology and so forth. If you're looking for a solid foundation and inspiration, I strongly recommend this book. Hail Pallas Athena! Charles Freeman's "Egypt, Greece and Rome" traces the ancient world from Egypt in the fourth millennium B.C. through the end of the Roman Empire.It looks at the major political and military events of early Western Civilization, but also describes some of the major scientific, philosophical, and literary achievements of antiquity and even looks at the daily life and religions of people in ancient Egypt, Greece, and Rome. As one might expect, the volume reminds the reader just how much of our civilization descends from the three civilizations studied, as when it mentions that half of common English words have a Greek or Latin origin.The book is only about 700 pages, but seemed to cover the most important topics of the thousands of years of ancient history adequately.There is also a useful timeline/date list at the back of the book. General readers looking for a good one-volume study of the ancient world would likely be well satisfied with this book. An absolutely overambitious book which manages to hit the mark. I've owned this book for over a year now and still find it indispensable (I have highlighted and written in it to such an extent that I am probably the only person who can actually read my copy). Its span seems ridiculous for one book, even though it is pretty long (about 650 pages, plus an excellent 27 page time line), but it gives one a great understanding of the Mediterranean World's evolution, starting not only from Archaic Greece, the unification of Egypt and its First Dynasties, but from the earliest settlements, the earliest urban settlements, and earliest cities in the Ancient Near East, which of course set many precedents (if not THE precedent) for those civilizations after which the book is named. In fact, the initial chapter is an excellent, thorough -- yet still very nuanced and fascinating to read -- overview of the first cities and cultures that sprang up in that region, from the cities of Sumer and Uruk, to the Akkadians (and Sargon the Great, generally accepted as history's first emperor), the early Israelites, the Babylonians, Assyrians, Hittites, and all the way to the Achaemenid Persian Empire. Conservative/orthodox views are presented alongside liberal views, and "revisionist" theories are -- refreshingly -- given equal credence as well. Many currently accepted consensuses about the Ancient World held by Classicists, Anthropologists, and Historians have traveled from (often laughable...) beginnings, and many of those evolutions are presented here in a way almost as interesting as the way in which the Roman Civil Wars are portrayed. If intrigued by a certain topic or period, the reader is constantly referred to the names of scholars and authors, both well-known and obscure, whose works they may also find interesting. While this is hardly revolutionary, it is VERY prevalent throughout this work. Hardly any alternative argument or contrary opinion pertaining to events is included without the person from which it originated. If there is one strong point of this book that stands above the others, it is how accessible it is, while also being such a treasure of information. The sheer volume each chapter manages to say about its subject(s) without becoming a bland and simple chronology is simply amazing. One striking example of this accessibility is the treatment of the period that begins with the rise of Macedonia under Philip II, and ends after the conquests and death of Alexander. Despite the fact that this crucial topic in ancient history (which many have easily stretched out into often redundant works of several hundred pages) is mainly covered inside of 33 pages, it is one of the most informative and most evocatively written studies of the subject I have ever come across, and gives one plenty of insight into this moment in history. After reading it (and I had very little knowledge about Alexander's life at the time I bought this book, I'm ashamed to say), I felt as though I read a 300+ page piece: it is that concise and well written. Do not be misled by the title and expect a strict format that dedicates one section to Egypt, one to Greece, and to for Rome. Though there are such sections, they are merely guidelines, and bits and pieces of each consistently creep into the others. The histories of all three (plus that of the Ancient Near East) are not presented as having occurred inside of a vacuum (as they too often are), but instead, as having developed alongside and with each other and other neighboring civilizations of the profoundly fluid Ancient Mediterranean World (perhaps the most concise chapter on anything that I have ever read is this book's short chapter on two of those lesser known, lesser appreciated cultures of the period, the Celts and Parthians, and what they contributed and took from surrounding cultures). There are wonderful profiles of the iconic figures from every conceivable aspect of the Ancient World: from the various schools of philosophy in Greece, the greatest minds of each, and their notable ideas; the great military leaders like Ramses II, Caesar, Pompey, Hannibal, Epaminondas, Pyrrhus, Philip, and Alexander; the most influential poets and playwrights, from Homer and Hesiod, Aeschylus and Aristophanes, to Catullus, Horace, and Virgil; the first men who seemed to have viewed history as a science, Herodotus, Thucydides, and much later, Polybius, who did explicitly think of both historiography, and what we might call political science, as sciences; and the political genius behind such larger than life figures as Cyrus the Great, Pericles, Cleisthenes, Cicero, Augustus, and Vespasian. While the book typically does not delve into great detail when discussing important battles (e.g. how many troops on which side, nature of the terrain, strategies employed by the winners and losers, etc. ), it seems insignificant given the attention and analytical thought given elsewhere (besides, one can often find great descriptions of famous battles on Wikipedia, in addition to just about every other history book). In little over 600 pages, this book illustrates both Western and Near Eastern Civilization, from about 5000 BCE, the initial evolution of the settlement to the city state, the rise and fall of great empires long thought to be invincible, the dominance and demise of the Roman Republic, the dominance and demise of the Western Roman Empire, and the rise of Christianity and monotheism. This nearly perfect history begins its end with one of history's great turning points: the seventh-century war between the Byzantine Emperor Heraclius and the Sassanid Persian Shah Khusro II (and by proxy, the dominant monotheistic religions: the Orthodox Christianity of Constantinople and Zoroastrianism of Ctesiphon), in which Heraclius, against all odds, managed to save the Byzantine Empire, defeat the Sassanids, and retake critical territory in the Near East (most importantly Jerusalem, along with Christendom's most venerated relic, the True Cross, which he brought back to Constantinople after a triumph through the Holy City's streets). As centuries of war between the Mediterranean's two superpowers finally seemed to be over, the Muslim armies of Arabia came, driven by their own monotheistic faith, and united by intense religious fervor. Soon Palestine and Syria were lost (this time, forever), and the Sassanid Empire fell after being soundly defeated by the Muslim forces; soon Alexandria too fell, followed by all other Roman/Byzantine lands in North Africa. However, the book does not end on this note in order to provide a catastrophic ending to what we consider the picturesque, classic, ancient world. Instead, these events and their aftermath are used to reinforce and continue its main theme: the ever-fluid nature of the Ancient Mediterranean World. Greek culture proved to be profoundly important to the early Muslim armies and empires, the leaders of which -- especially early on -- depended on their new Greek neighbors to aid them in administering their new cities. Likewise, because non-Orthodox Christians in these cities faced persecution under Byzantine rule, in many cases they and the Jewish populations (who, obviously, also faced persecution) welcomed their new rulers; many cities, including Jerusalem, had willfully, even gladly, accepted Muslim rule without resistance (many Christians are said to have actually fought with the Muslim armies against the Byzantines). The Arab rulers, whose people had always been on the outskirts of the Ancient Mediterranean World, were now fully engaged, and -- like so many other empires and civilizations who took from and contributed to that very world -- within a century had done away with much of their old ways, particularly the Bedouin tradition of oral transmission and memorization, which grew from the necessities and limitations of desert life, and embraced the options and ideas which other cultures presented to them. There was an explosion of literacy among the previously-illiterate Arabs, and by the ninth-century, many sophisticated Greek works of medicine, philosophy, and mathematics, which had long been neglected by an increasingly scripture-centric Byzantine culture, were translated into Arabic, and thus spurred a renaissance among Muslim scholars. Soon, the Muslim world was the center of the sciences, where the ideas of Classical Greece thrived, and where the ideas of the great minds of antiquity were debated, built upon, and above all, revived in a manner "that was not possible in the Christian world." (p.648) Indeed, it is commonly accepted among historians that had the Muslim armies never conquered those Byzantine lands, many works of the ancient Greek philosophers and scientists, of which we are today so familiar, would likely not have survived. This book gets my highest possible recommendation, simply for being a work of comparative history at its finest. 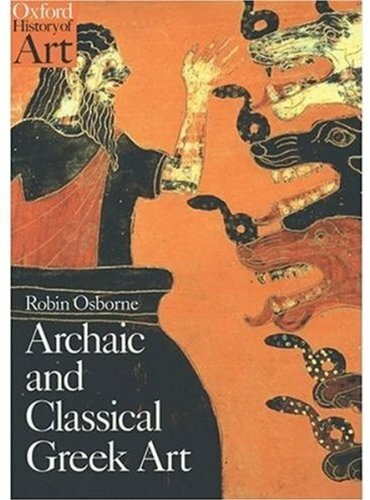 Throw in the fantastic and informative maps (32 in all), beautiful plates (80 in all), its consistently nuanced tone, and a study of power politics in the ancient world that would make Polybius proud, and it becomes a must buy for anyone merely slightly interested in history. And again, this is a book which just about anybody can pick up and enjoy. The casual reader will take away from it not only a great amount of knowledge regarding the beginnings of each "civilization" of the ancient Mediterranean, but also new perspective into how much each owes -- to this day -- to each other. This is a great intro book on ancient civilizations around the mediterranean. While the subtitle is Egypt, Greece & Rome, the author goes into other, older and more distant cultures as well. The chapters are short and leisurely - you get a good feel for each section without being buried in details. This book was one of the required texts for a course I took on ancient history. 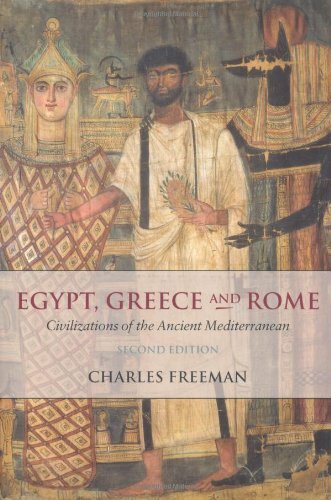 Egypt, Greece and Rome was the perfect text, because the book reads as a narrative; nothing in Charles Freeman's book is boring or dry. It covers Mesopotamia from 5000 BC up through the emergence of the Byzantine Empire in the fifth century AD. 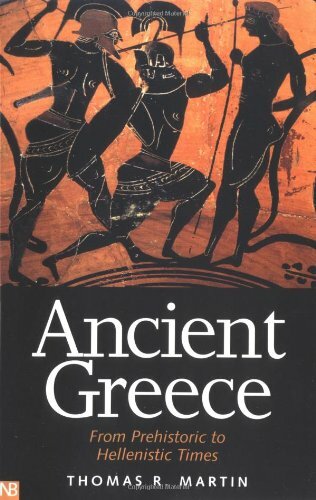 This book is the key to understanding ancient history, and I highly reccomend it. 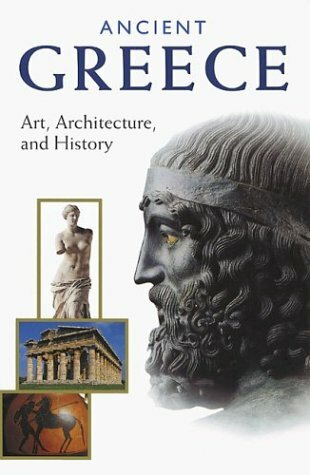 Archaic and Classical Greek Art is good supplementary reading if you're into art history or classics that focus on ancient Greece. While the text isn't too exciting, the pretty pictures make up for it; if ever you need to make a presentation on the reading, you can do what I did and talk about how pretty the pictures were. And while the text is a bit boring, it's simple and concise, which would be lifesaving attributes if you're reading it 5 minutes before class. It's an ideal introduction into the subject matter; the content is easy enough to understand and the pictures make it enticing enough to pursue. On a more general scale, why 4 stars? Because to a classics nerd, it's vastly exciting delving into the world of ancient Greece when it's completely unrelated to school. So I read it after we were tested on it and found it all the more enjoyable. This book gave me a new look into greek art. I have read a lot of books about this period and I found that Robin Osborne added new viewpoints. I liked his style of writing, it invited me to read on.